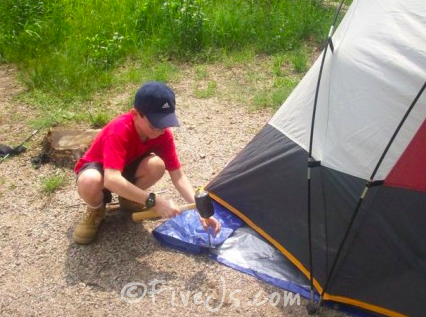 Have you ever considered homeschooling out of doors? One of Jerah's drawing assignments today called for her to draw something outside. And since I'm the paranoid mother that I am and I refuse to let my 10-year-old daughter stay outside in the front yard for extended periods of time by herself, I moved everyone outside and we did our schoolwork in the sunshine. It was a nice change of pace. When Jaden finished up all of his work, he even pulled out the badminton equipment and played around a bit (instead of — gasp! — playing with his Legos!). It worked so well for us today, we might just have to make outdoor homeschooling a regular thing. The ability to enjoy a school day outside is most definitely a Finer Thing! 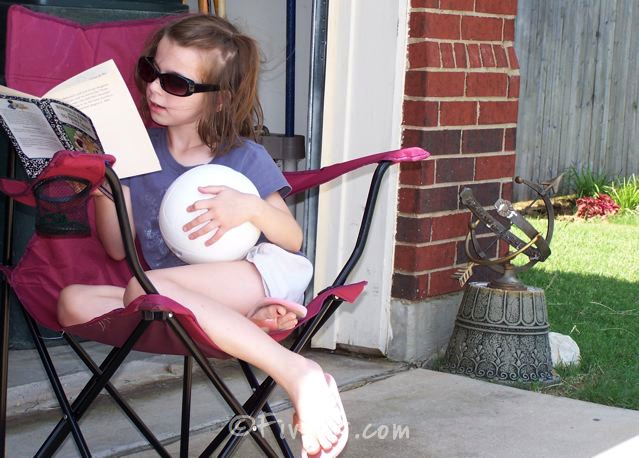 We have been homeschooling outside when we can too, now that the warmer weather is here in New England! We did that one day this spring…loved it a little too much….kids wanted to do it everyday…minus the books! It's one of the reasons I WANT to HS!! I want them to use the outdoors to learn so much and not be stuck in a classroom all the time, learning via a book! Great post! 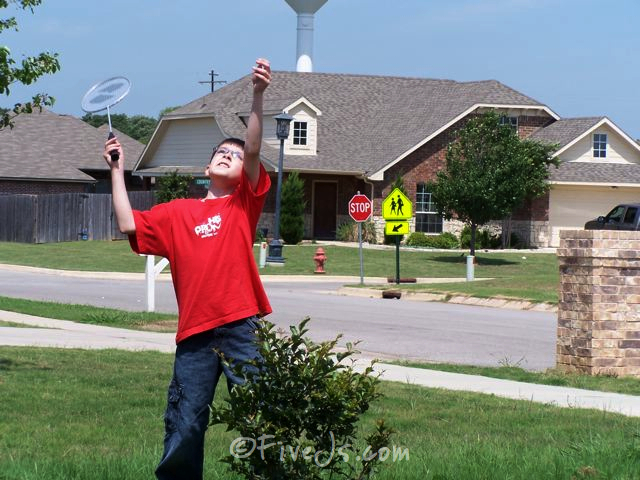 Sharon’s last blog post..Frugal Summer Activities! We've been doing my son's lessons outside most every day, unless it's raining. He loves it. It's getting hot in Texas though. We're either going to have to start doing school way earlier, or relocate inside soon. You are NOT a paranoid mother. I am the same way. In our house, the rule is, no one is allowed outside by themselves (except for my oldest who is almost 16). I always loved doing my schoolwork outside. In college, some of the instructors would hold class outside on nice days, too. All that sunshine is good for you! Great idea! I will have to give this a try! Erin @ Closing Time’s last blog post..WFMW: Mickey Melts Work for Me! Oh – what a wonderful day! I chuckled at the paranoid mother. Come stay at my house for a week and you can let them outside for hours and never worry. One of the beauties of living in the country with no neighbors (except for their aunts/uncles :)But what I wouldn't give for my grocery store right on the corner. Things are building up towards us and we just had a shopping center w/grocery store built 10 minutes from us. That was HUGE! Oh I am loving this idea! I actually have a small school desk that i want to re-do and have as part of our outdoor classroom. Thanks for the inspiration.